It's that easy! Fast domain approval within one day! Read below for supporting document required terms & registration eligibility. Contact us if you wish to enquiry more! 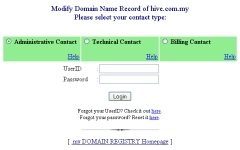 R058 Hive Hosting Sdn Bhd. Click Here for more infor. School / College / University - Principal / Directors / Chansellors (Private Instituition must provide Borang 9). 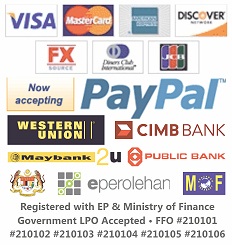 All Government schools, Government-aided schools, Polytechnics, MRSM, MARA, IPTA, IPTS are eligible. Applications from Kindergardens & Pre-Schools will be reviewed manually. Private tuition schools are not allowed to apply. Government Ministry / Department / Agency - Minister / Department Head / Officer (Refer to Sample Letter in Our Download Section). Other Government-linked Organization application will be reviewed manually. 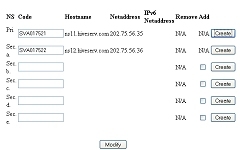 Maximum 8 Domains Limit only per person. Malaysian Non-Citizen (Migrate) & Foreign Citizens (Passport) are not allowed to apply. Minimum age: 18 & Above. You may refer to our Knowledgebase for answer to most frequent asked questions. MYNIC Related Documents for download.